It’s always nice when someones’ work is appreciated, and to be featured as an artist. Check out rystaxe.com. They have a very cool map editor and published some great games! Citymap I created for the Cartographersguild challenge. Always nice to see a product I did some (small) work for sells out so fast 🙂 I created a map of the lands of Oz for this comic by Zenescope. Just saw that the KS for Alien uprising has started and is already well into it’s strechgoals. I created some art (layouts, icons, dices) for the game and you can check it out at KS. I’m currently working with GriffinGrove to digitize their tabletop tiles to make them into +CC3 compatible tiles. A great article on the process of digitizing can be found on their website. Some time ago I created a map for the game project Snowstorm. You can check out the details of the game at their facebook page. I mapped another region of the Draconspire world: Castros. The map is available in hi-res on the campaignworld website. I created a map for the Dalelands in the Forgotten Realms setting. It is published as part of the D&D Encounters (Search for the Diamond Staff). 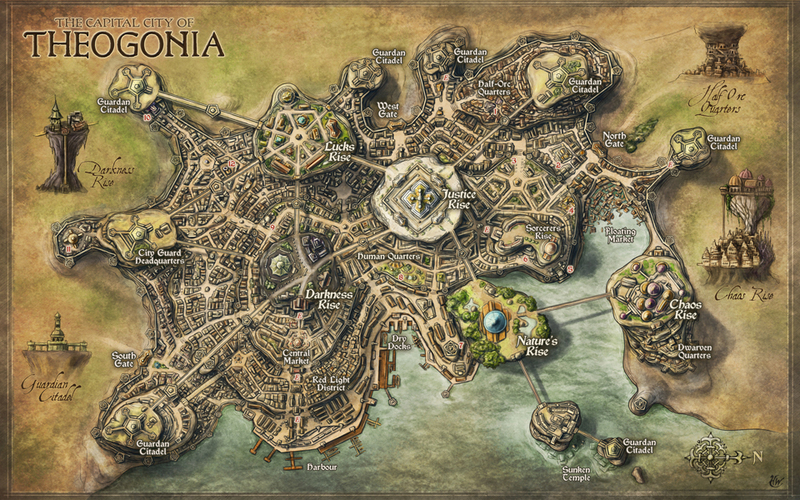 If you’re interested and/or running the game, the map can be found at the website of Wizards of the Coast.